Brad Pitt and Marion Cotillard are in love and raising their baby in Hampstead in Allied, which opens on Friday, November 25th. 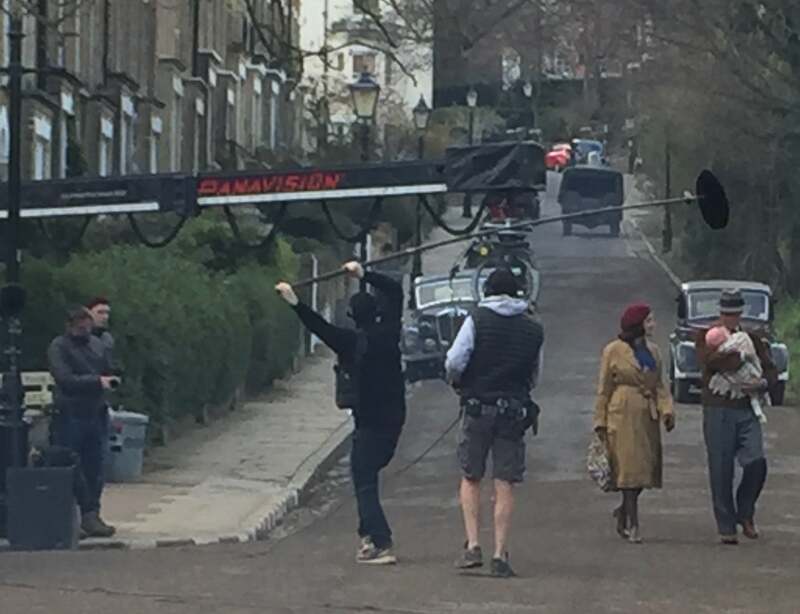 The huge production of 150 cast and crew made extremely generous donations to local residents while filming on Hampstead’s Christchurch Hill in late March and early April this year. Here’s the trailer. In the sweeping World War II romance, Pitt and Cotillard have left Casablanca for married life in Hampstead, while the blitz continues in London. And it’s here that some of the most suspenseful scenes in the film take place. Janine Griffis, chair of the Pilgrim’s to Willoughby Residents Association said, “Some of our members were really apprehensive about the possible disruption during filming. But I have to say that everyone working for the film company was really lovely and went out of their way to make it as easy as possible. Writer Steven Knight has said the script is based on a true story told to him when he was 21. The huge Hollywood-style production also set up in Southwark’s historic Pullens Yard in May this year, using the community hall, The Pullens Centre, for interiors as well as the atmospheric period exteriors. We see Pitt and Cotillard on Crampton Street near Pullens Yard, beforehe climbs into a car and drives away along Iliffe Street. Again, generous donations were made to local residents to thank them. In the film, Pitt plays Canadian intelligence officer Max Vatan who, in 1942, meets French resistance fighter Marianne Beausejour (Marion Cotillard). Their life together in London is threatened when Vatan is told his wife could be a Nazi spy and is ordered to execute her. Instead, he tries to clear her name. FilmFixer manages the film office service for both Camden and Southwark Council, the boroughs where the filming took place.